Communication with our foster families is very important to us! Questions or Problems with Your Foster Dog? This form should be used to send us monthly updates and photos. 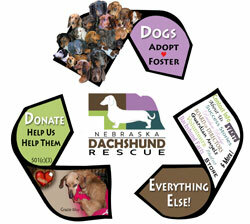 Keeping your foster dog's profile current will help them find a forever home sooner! Please visit our Event Calendar for upcoming events to attend with your foster dog. Dogs that attend events find forever homes faster than those who dont! Please contact our Event Director or our Volunteer Director and let them know what events you'd like to attend. We can usually arrange transport to or from the event, if necessary. This Foster Family Tools page is new and we would appreciate any feedback you'd like to offer! • Is there something on here that you'd like to see? • Is everything working properly?